And just like that it’s almost Christmas! Slow down, time, SLOW DOWN. 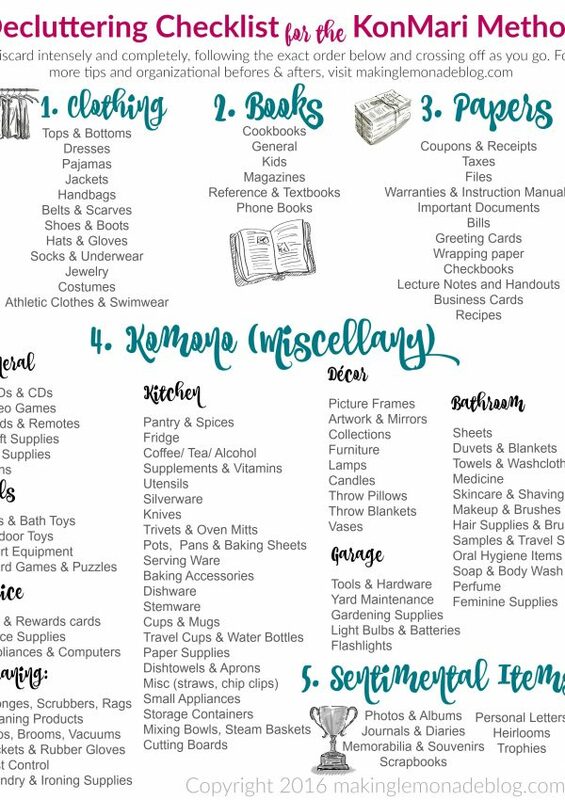 Last week, we shared our gift guides packed with gift ideas for everyone on your list (find all the gift guides here in one spot for easy shopping) but y’all know I’m a DIY girl at heart. 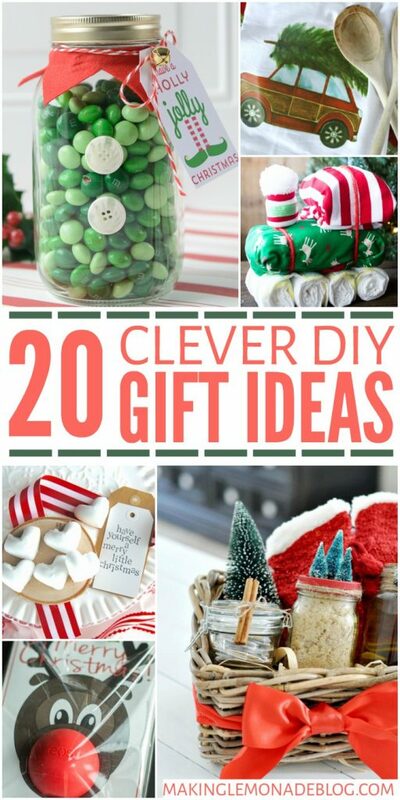 For the DIY-ers out there, we’ve rounded up 20 handmade gift ideas the recipient will LOVE to find under their tree this holiday season. Whether you want the kids to make something special for Grandma or you have a crafty streak of your own, trust me, these handmade gifts are truly the best of the best! Snag a couple of your favorite pictures (or some awesome pics of the recipient’s family) to make these adorable DIY photo coasters. Everyone needs something pretty to rest a glass of eggnog or a cup of hot chocolate on! 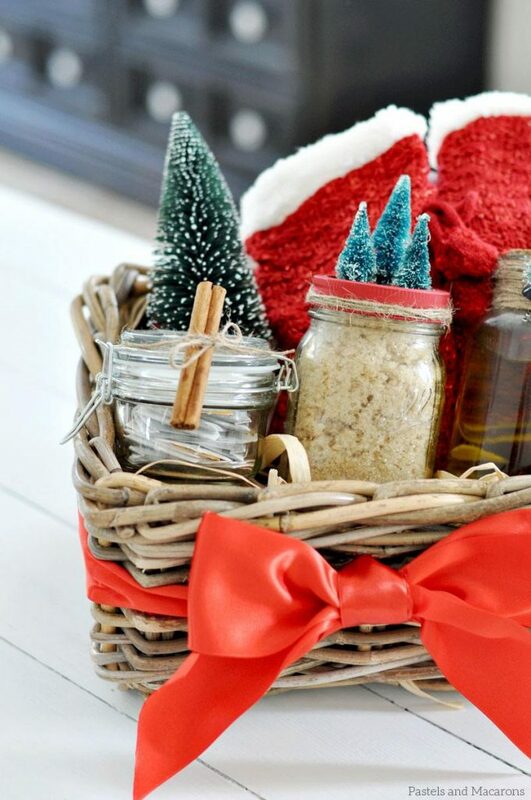 Every mom deserves a DIY spa gift basket… who couldn’t use a little pampering during the hectic holiday season? You’ll need soft lips for kissing under the mistletoe. 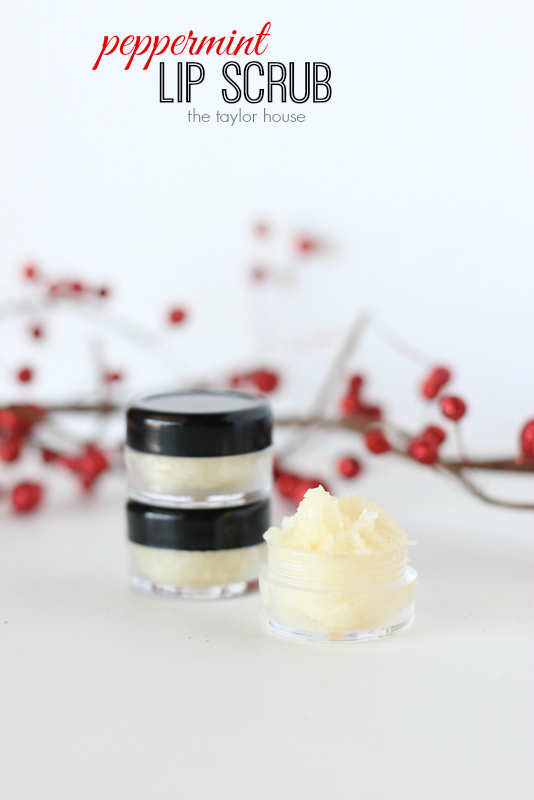 This peppermint lip scrub will have your lips smooth and silky in no time. Our peppermint bath bombs are the bomb! Wait, do people still say that? 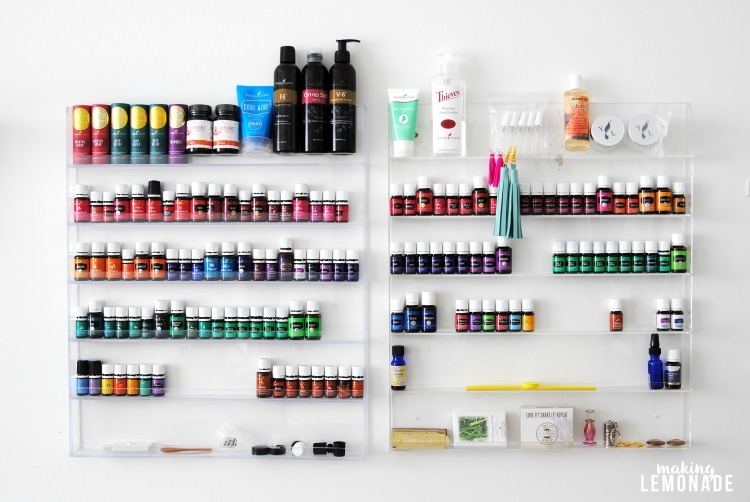 Anyway, these fizzy little additions to your bath will energize and invigorate you for the holidays. 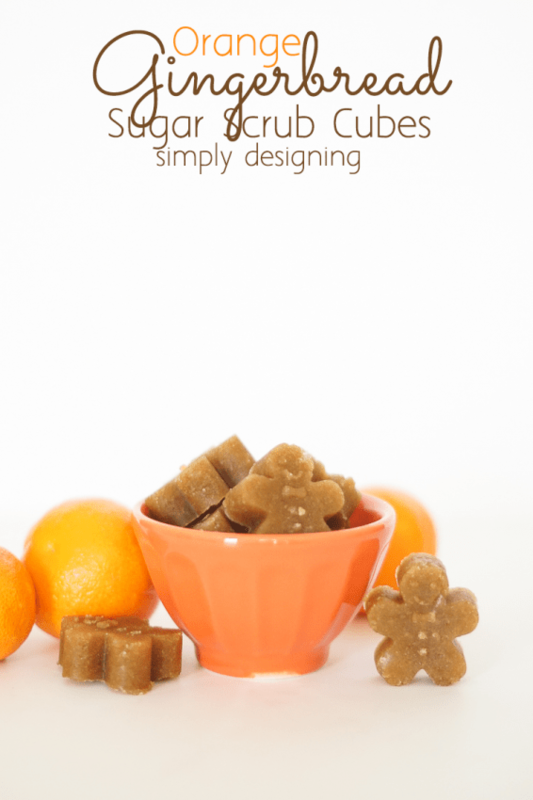 I’m a huge fan of homemade body scrubs, and I don’t think you can get any cuter than these orange gingerbread sugar scrub cubes in the shape of little gingerbread men. Perfect for holiday gift giving! 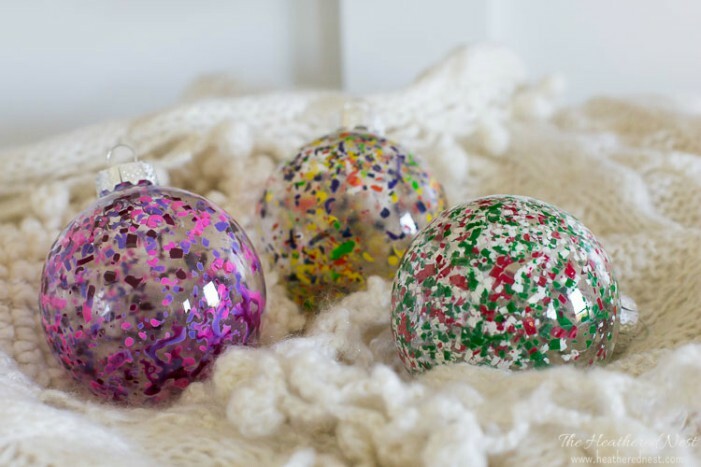 Grandparents will love receiving a melted crayon Christmas ornament from each of their grandchildren. We’ll call these DIY Christmas candles semi-homemade. 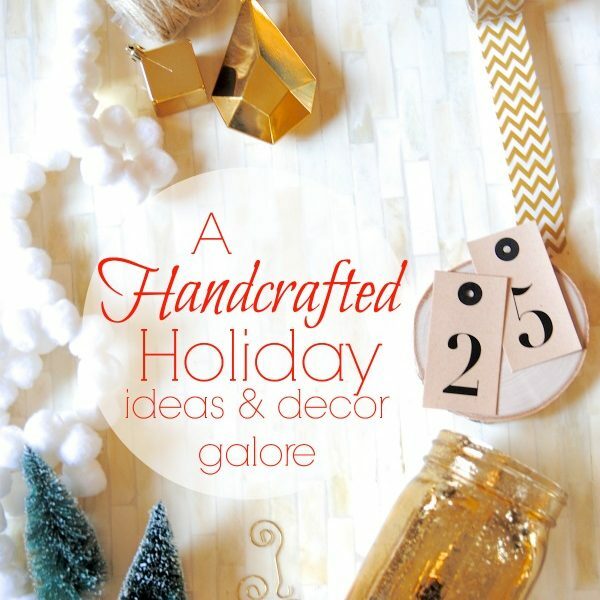 Simply purchase your favorite jar candle (cheap or pricey, according to your budget), add a few embellishments, and you have a beautiful, personalized gift anyone will appreciate. 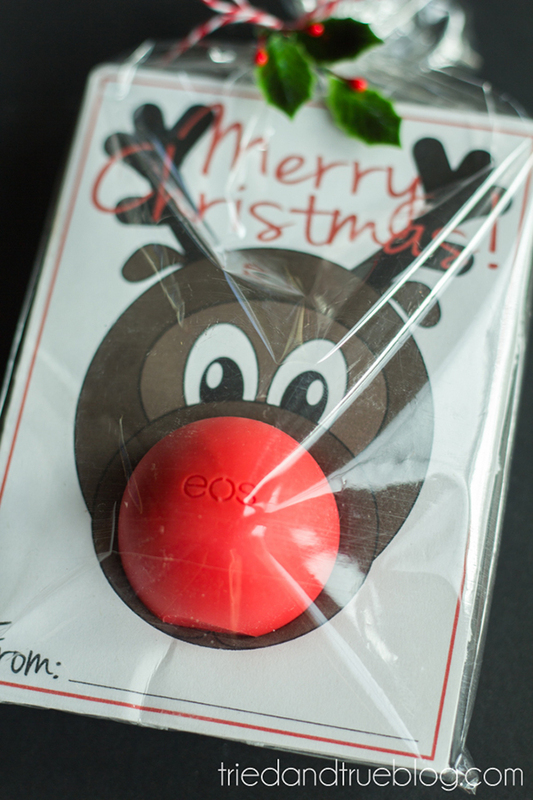 EOS lip balms make great stocking stuffers, so pair it with this printable to create adorable Rudolph gifts for teens, teachers, moms and more. Know someone who’s simply obsessed with succulents? I know I do! 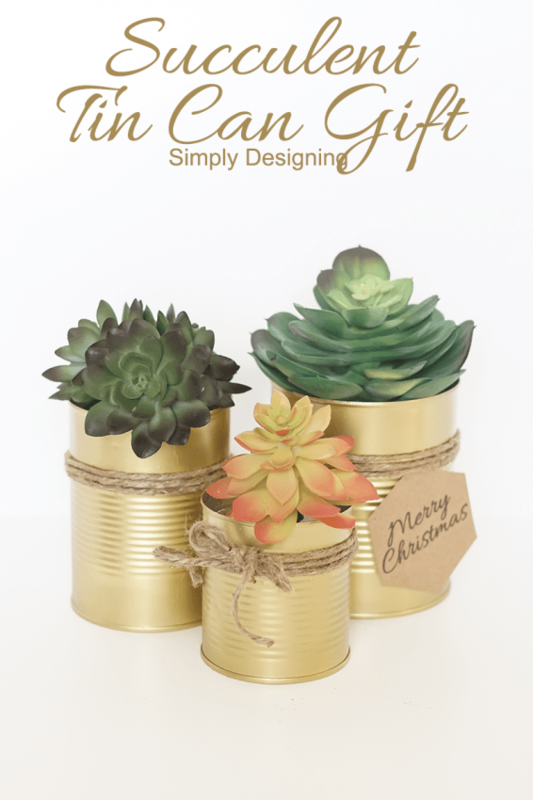 Can’t wait to give these tin can succulents. 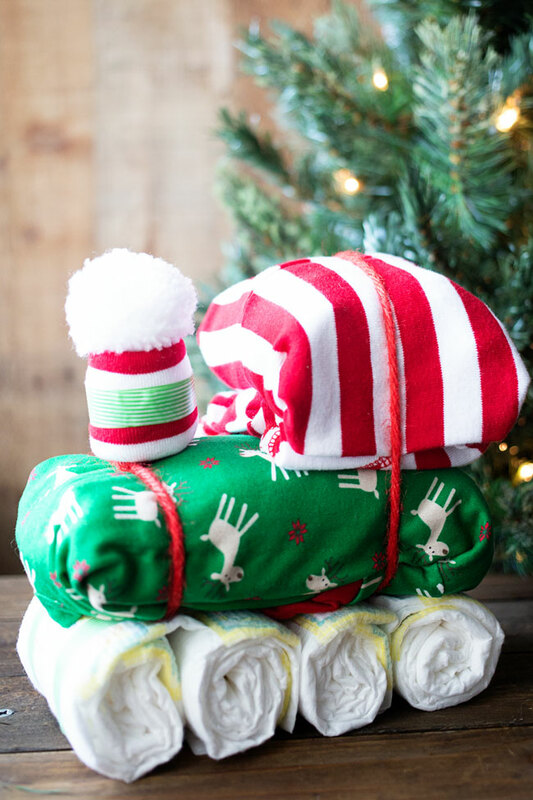 A set of iron-on Christmas dish towels will brighten up any kitchen during the holiday season. 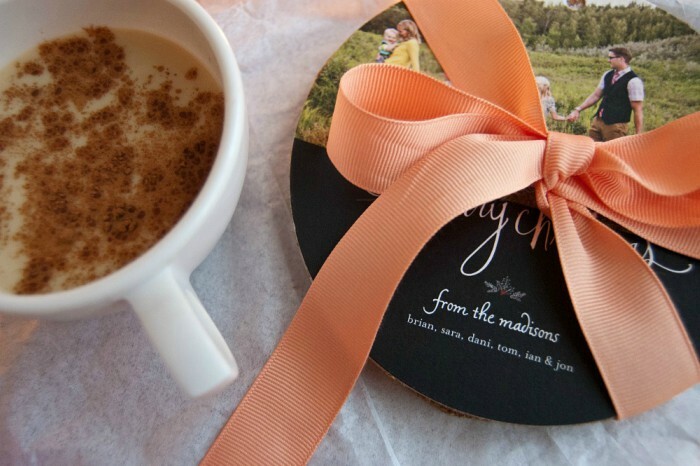 They’re super easy to make and personalize for each recipient, too. 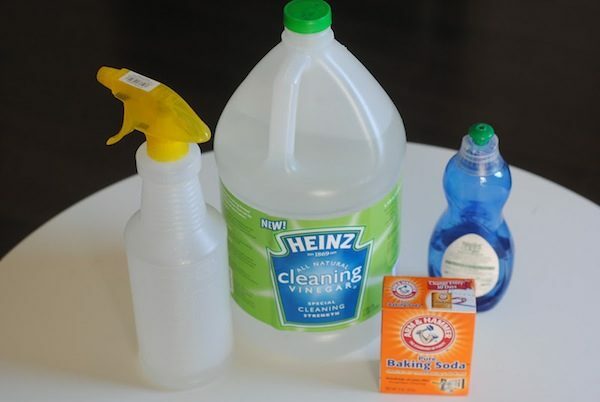 All you need is some iron-on transfer paper, your printer, and a dish towel! 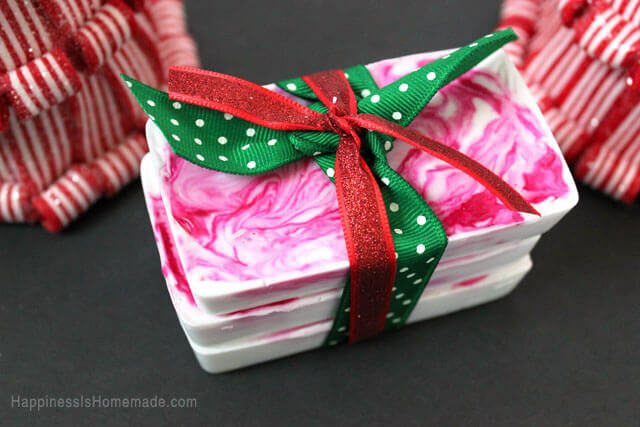 Peppermint soap makes great gifts for teachers, friends, and family. It’ll make their bathrooms smell amazing. 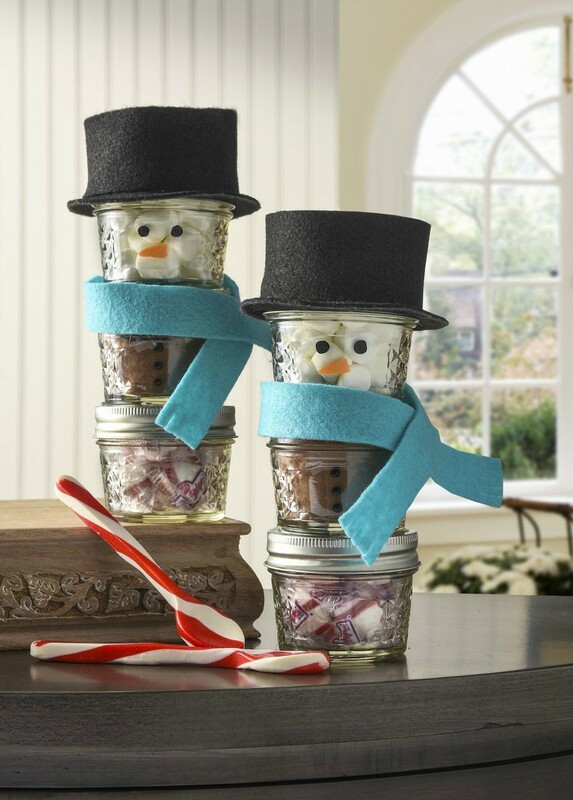 Mason jar gifts are so popular around the holidays, and here’s a cute twist: give these stacked snowman mason jars to friends and family filled with everything they need to make a delicious cup of hot chocolate. 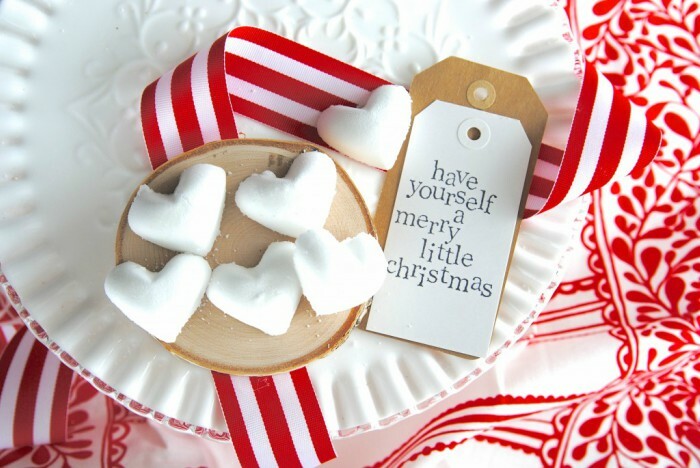 It includes peppermints, cocoa mix, and mini-marshmallows. 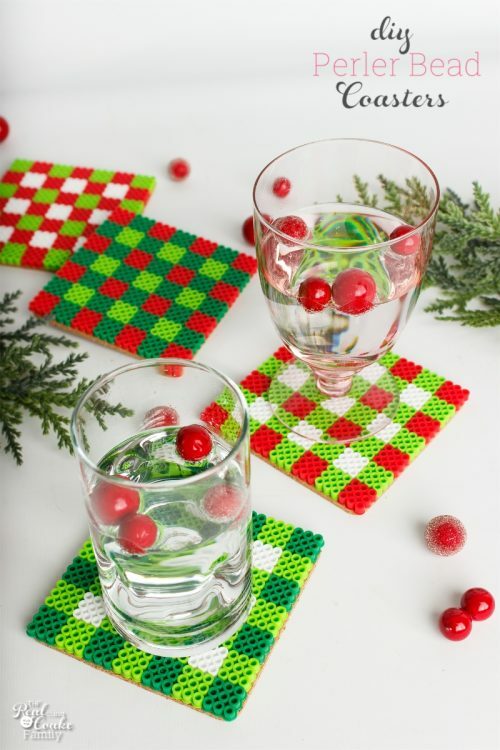 Perler bead coasters are fun and festive! This is a great gift that the kids can make for others. Need an affordable gift for all the neighbors? 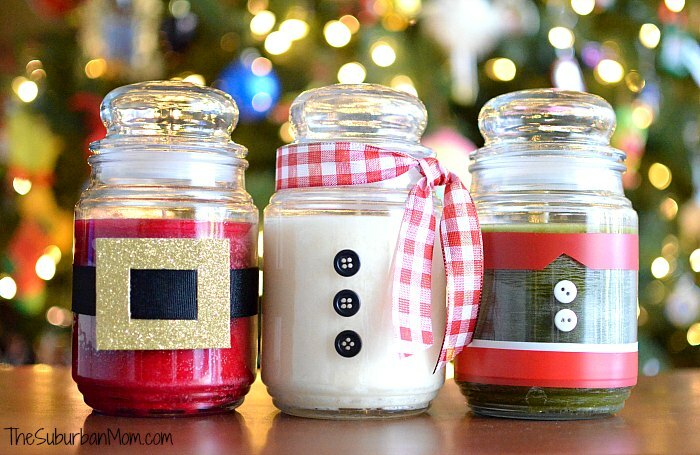 These elf mason jars are it! 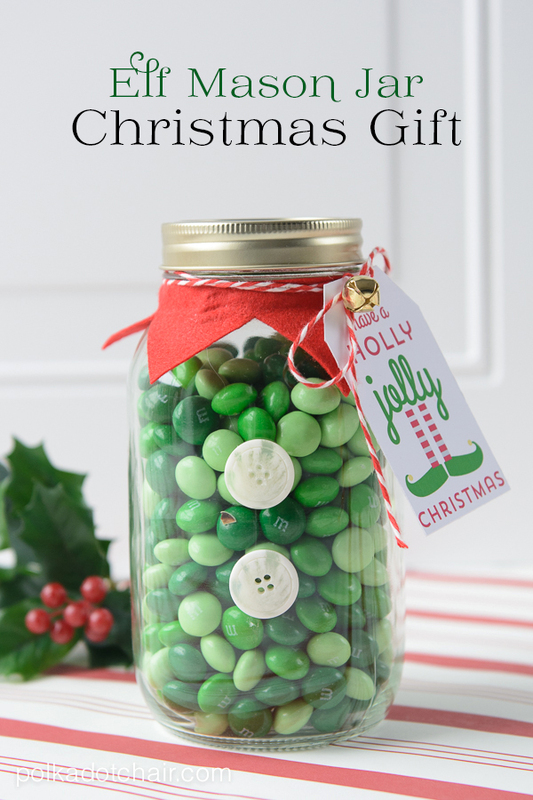 Fill them with red or green candy to match the elf embellishments on the jar, and you’re all set. 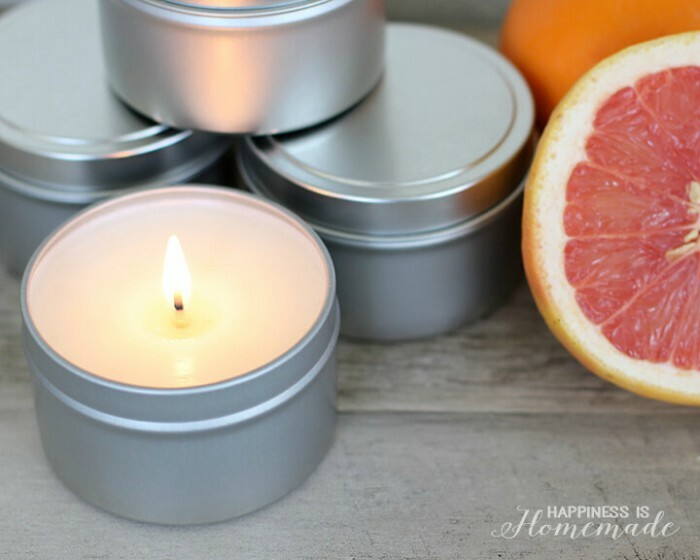 I held off on DIY candles for so long because I thought they’d be difficult to make, but these easy soy candles are so simple you can make a batch in about 10 minutes. Talk about easy! Here comes the diaper train! What a cute and practical gift for babies… parents always appreciate extra diapers. 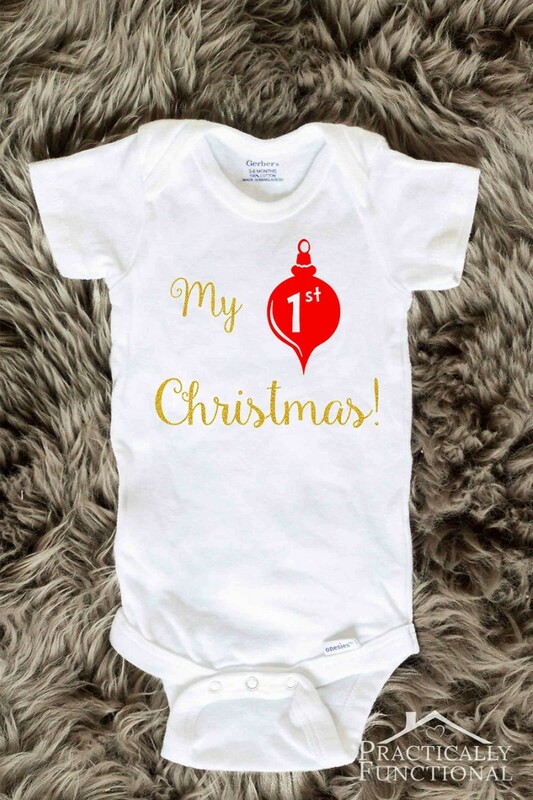 Speaking of babies, you’ll want to mark holiday milestones like this first Christmas onesie. 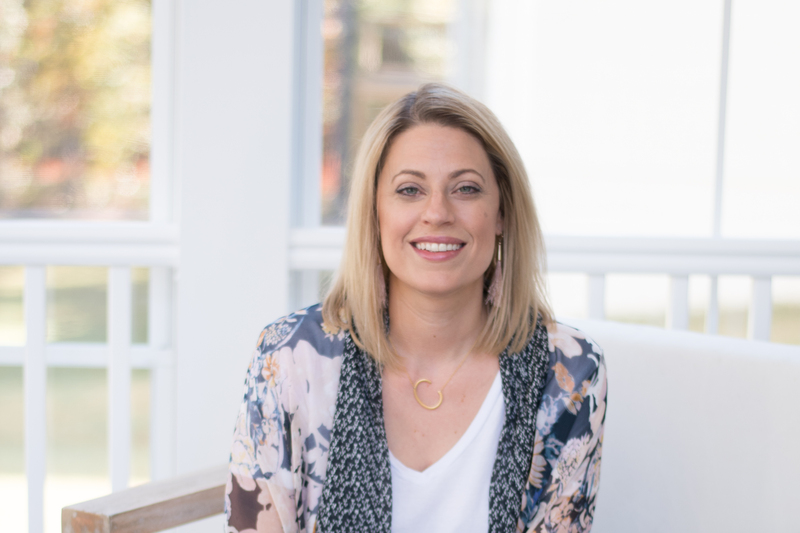 In just 20 minutes you’ll create a gift parents will treasure for years as they look back on holiday photos. 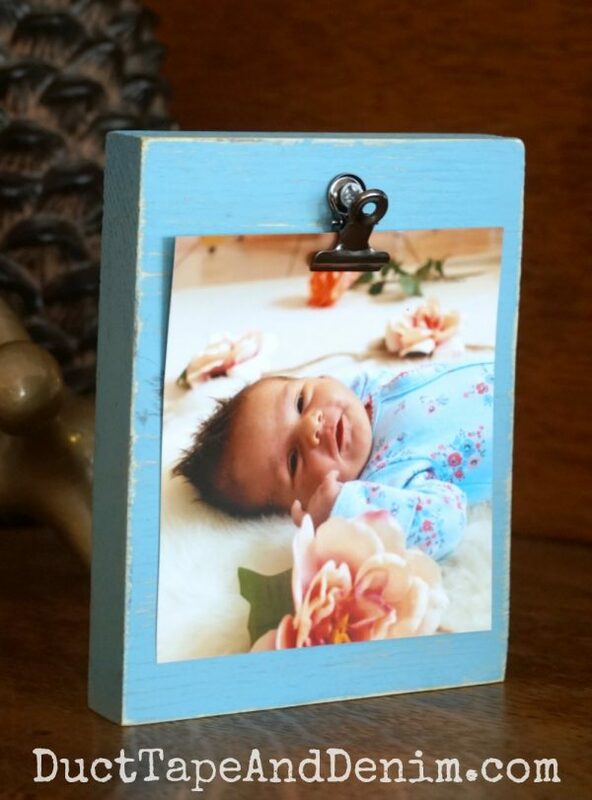 A wood photo holder is a lovely addition to any desk or table. 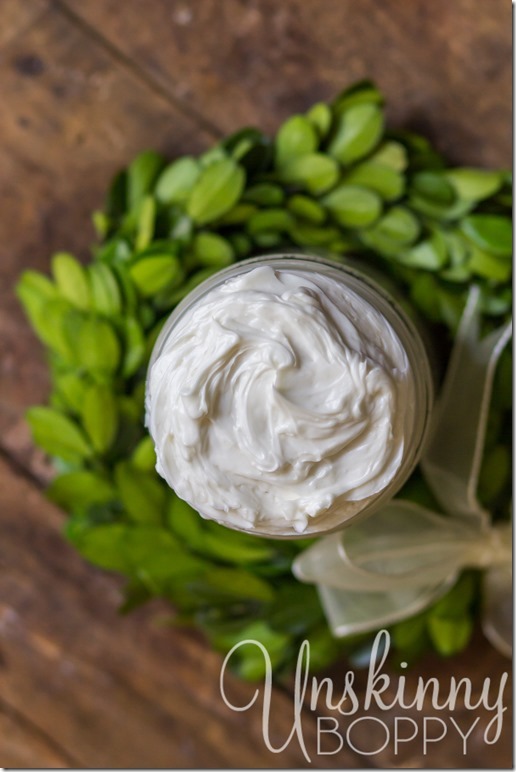 Handmade body butter will be most welcome at Christmastime. Dry winter skin is the worst, but this will take care of it in a pinch. 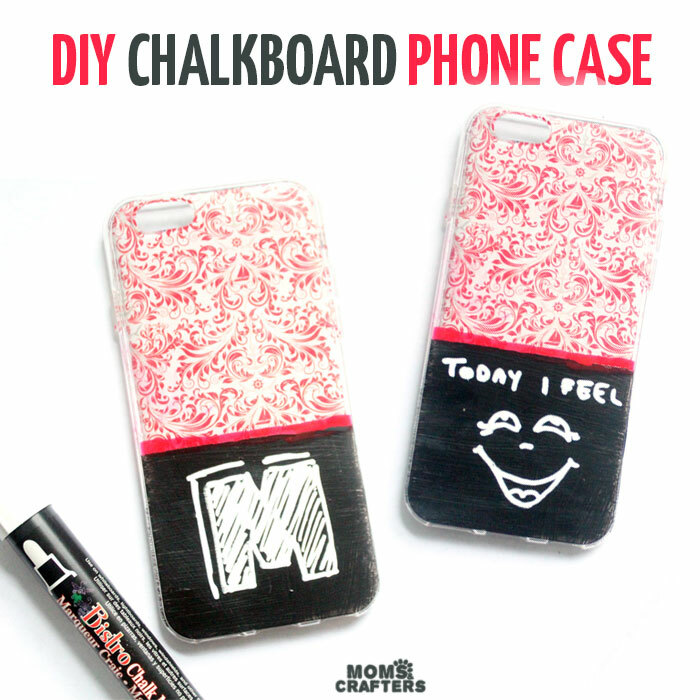 A chalkboard phone case is a great way to express your mood or personality — great gift idea for teens or the tech-savvy folks in your family! 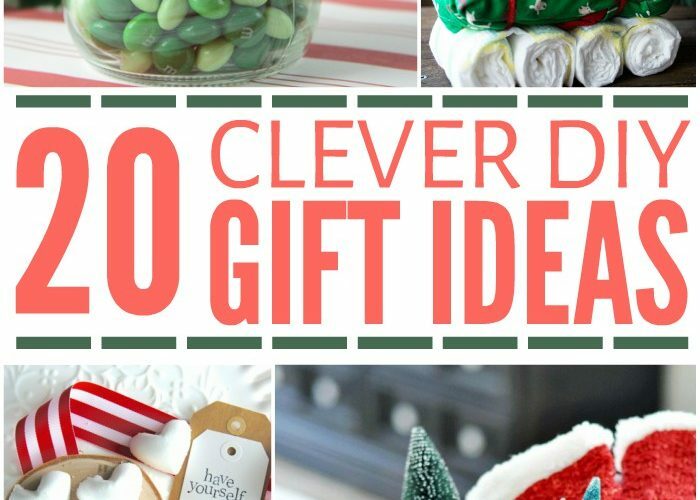 Those are all seriously clever homemade gifts, right? Not only are the fun to make, they’re AWESOME to receive! Now, who’s gonna make me some of those Christmas tree dish towels? 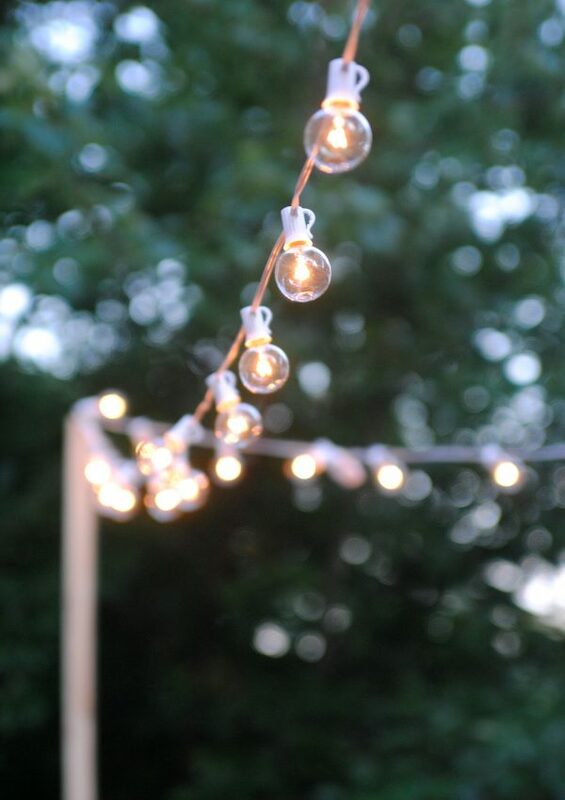 Which was your favorite DIY gift idea to make this holiday season?